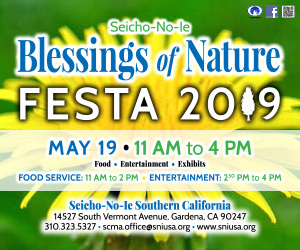 Funeral service for the late Michiyo Nonoshita, 89-year-old, Terminal Island-born Kibei Nisei and longtime resident of Long Beach, who passed away peacefully on June 2, 2014, will be held on Monday, June 16, 11 a.m. at Long Beach Buddhist Church, 2360 Santa Fe Ave., Long Beach, CA. She is predeceased by her husband, Keiichi Nonoshita and sister, Tomiyo Shoji. She is survived by her son, Roger Nonoshita; daughter, Shirley (Dave) Bear; grandchildren, Nikki, Nick and Erick Bear; brothers, Yoshikazu (Peggy) and Susumu (Jie) Kinoshita; also survived by nieces, nephews and other relatives here and in Japan.